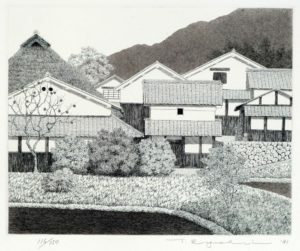 Tanaka Ryohei, popularly known by his given name, Ryohei, is considered Japan’s leading etcher. His charming prints of Japan’s countryside and temples are highly prized for their tranquillity, exquisite detail, and range of tones, all achieved through the exacting print making technique of etching. 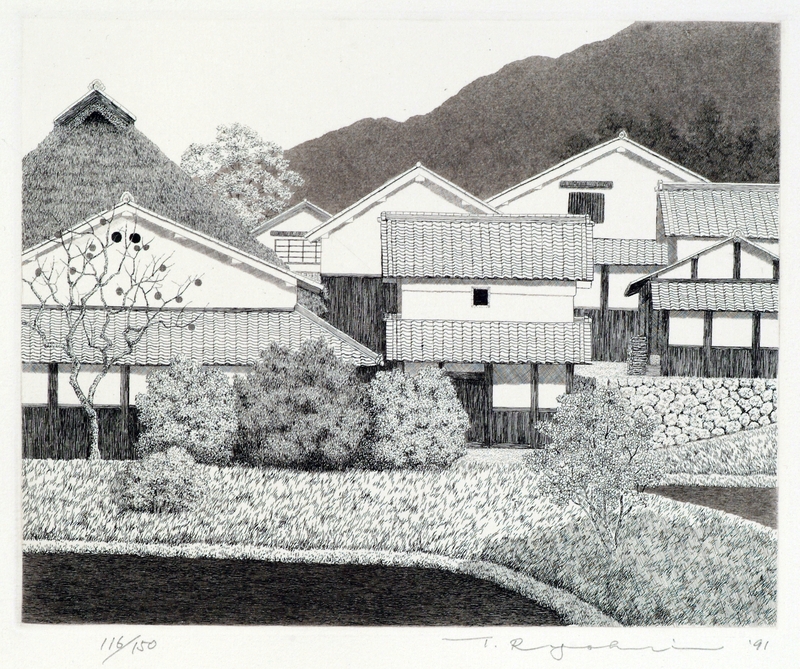 Born in 1933 in Osaka, Tanaka-san studied etching in 1963 with Professor Furuno Yoshio. Within just two years, he would launch exhibitions at numerous galleries in Japan as well as the prestigious Nhon Hanga Kyokai show and CWAJ show, celebrating 46 years with the latter show in 2011. Internationally, he has exhibited in the US (Maryland, Philadelphia, Seattle, LA) as well as Cairo and Canberra.